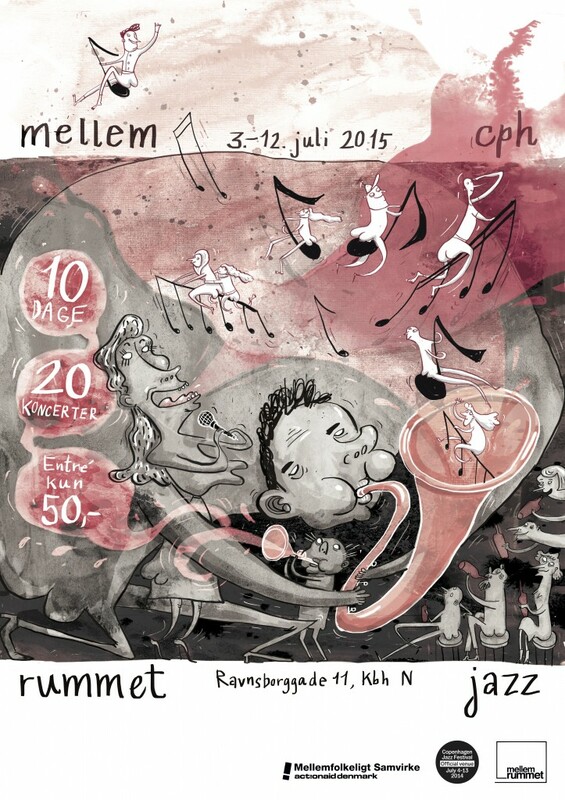 Once again actionaid:denmark‘s non-profit venue MellemRummet will contribute no less the twenty concert to the CPH Jazz Festival of 2015. With two daily concerts at 17.00 and 21.00 featuring top names on the Copenhagen scene as well as exciting new-comers, MellemRummet might just be the most important venue for modern jazz in the Nørrebro area. Søren Gemmer has once again taken upon him the task of being the project leader and primary curator in the hopes of helping to provide actionaid:denmark with funds for their work in developing countries and the growing audience prime musical experiences. Graphic artist, Mia Mottelson, has created this year’s beautiful poster.